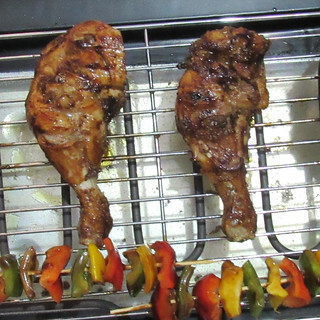 The word ‘Braai’ means ‘Barbecue’. 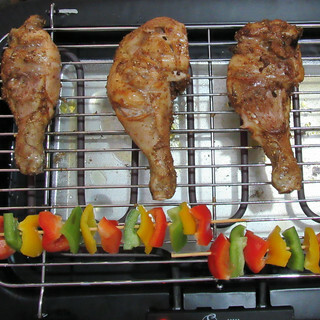 This is the common word used by South Africans for barbecuing/ grilling. 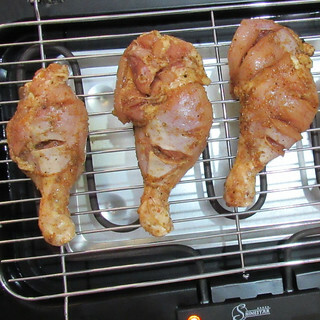 There are many techniques for making Braai chicken. 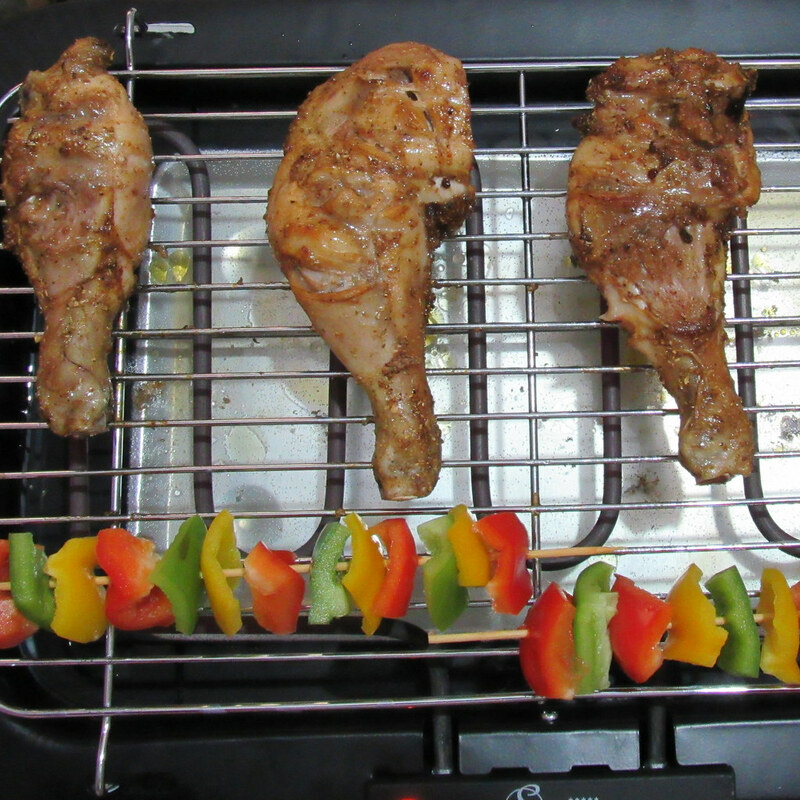 One of them is charcoal grilling/ barbecuing. 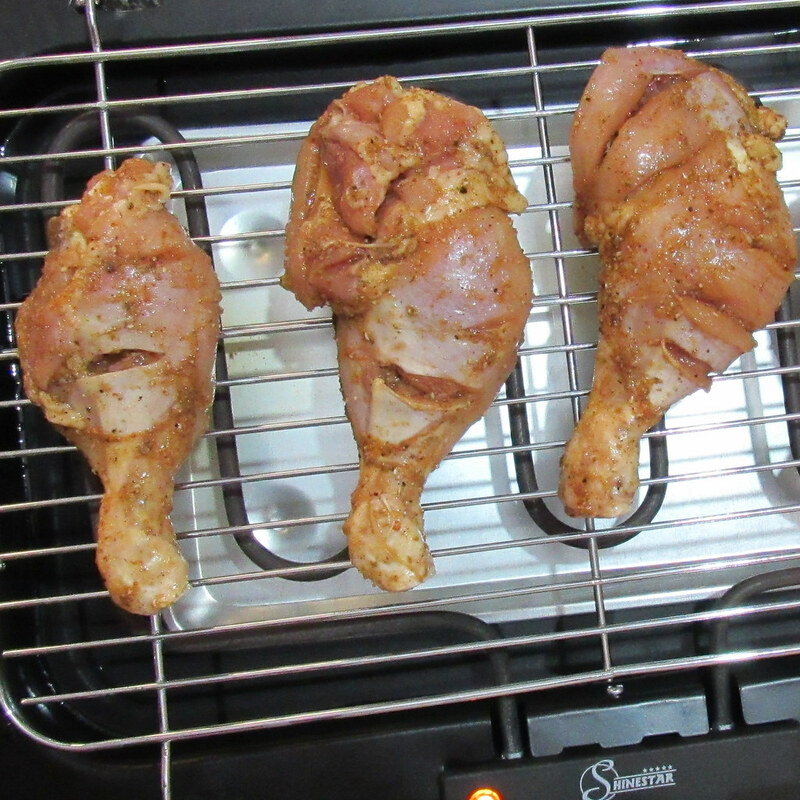 Here I have used an electric barbecue for making this yummy chicken drumstick. 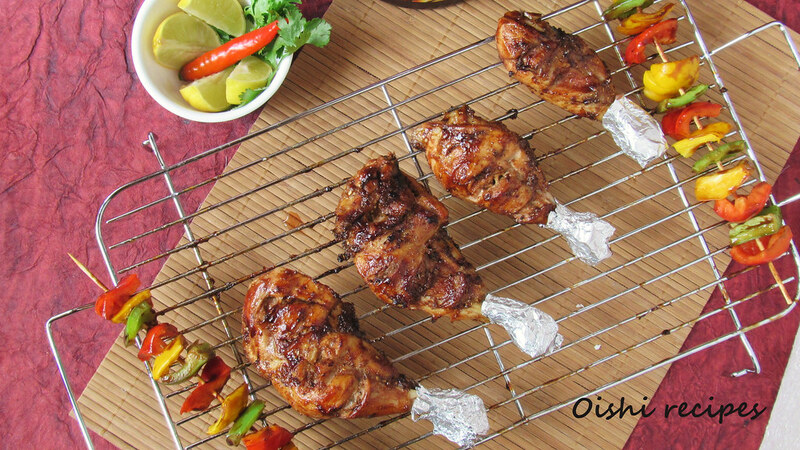 This is perfect for casual outdoor ‘Braais’ where family and friends get together. Here I have adapted a Braai spice powder using eight ingredients. 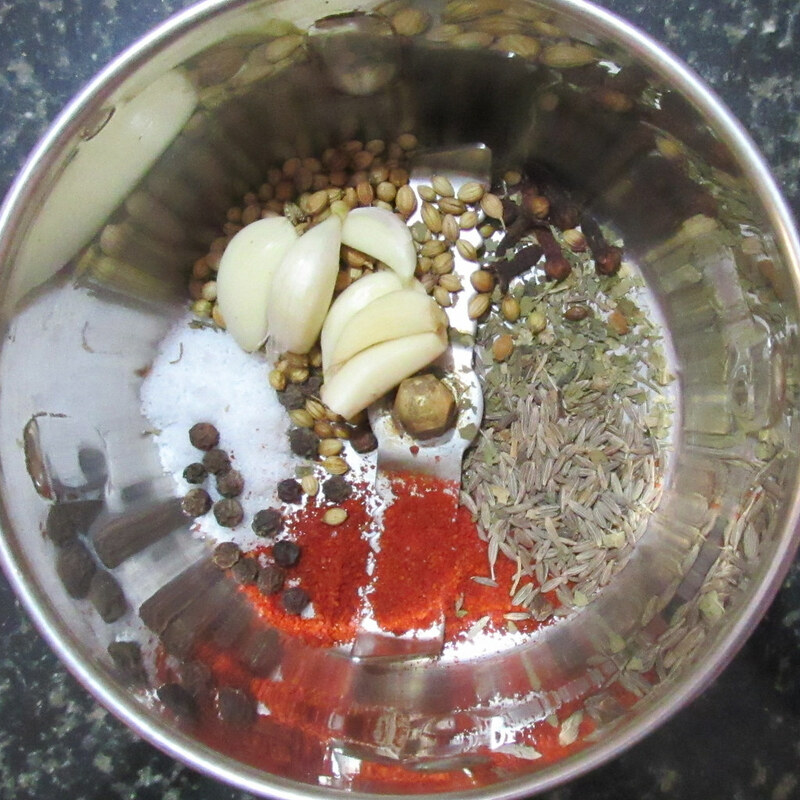 Garlic, Coriander, Paprika, Pepper, Parsley, Cloves, Salt and Cumin. 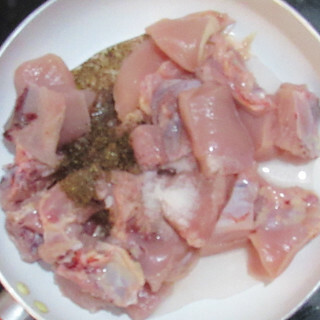 Grind the ingredients and rub it on the chicken pieces. 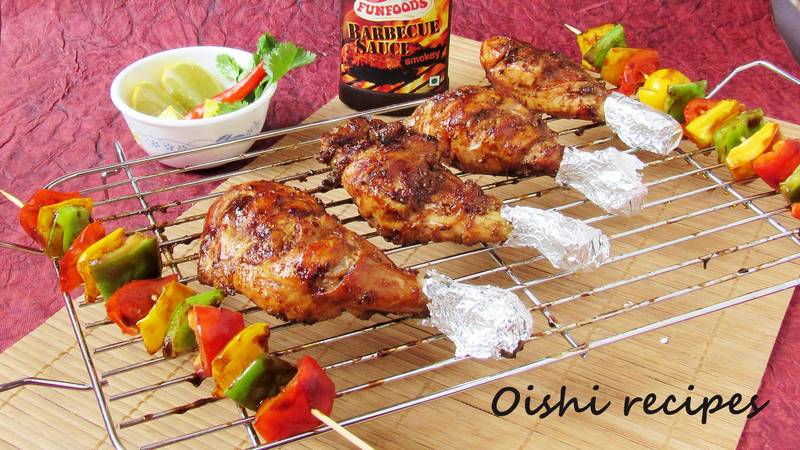 Marinate for hours and grill it. 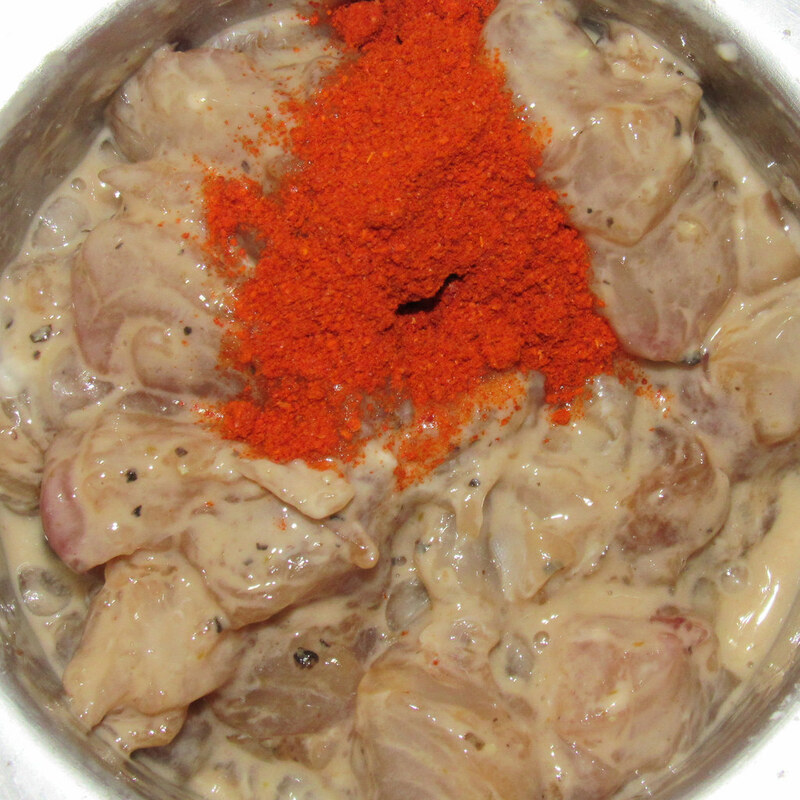 While pork preparation you can skip the ingredient Cloves and add two ingredients Mustard seeds and Nutmeg. So friends try it out and let me know what you think about. Braai Chicken is juicy, delicious recipe served as a starter in barbecue party. Take all the ingredients under the heading 'For marination' in a blender. 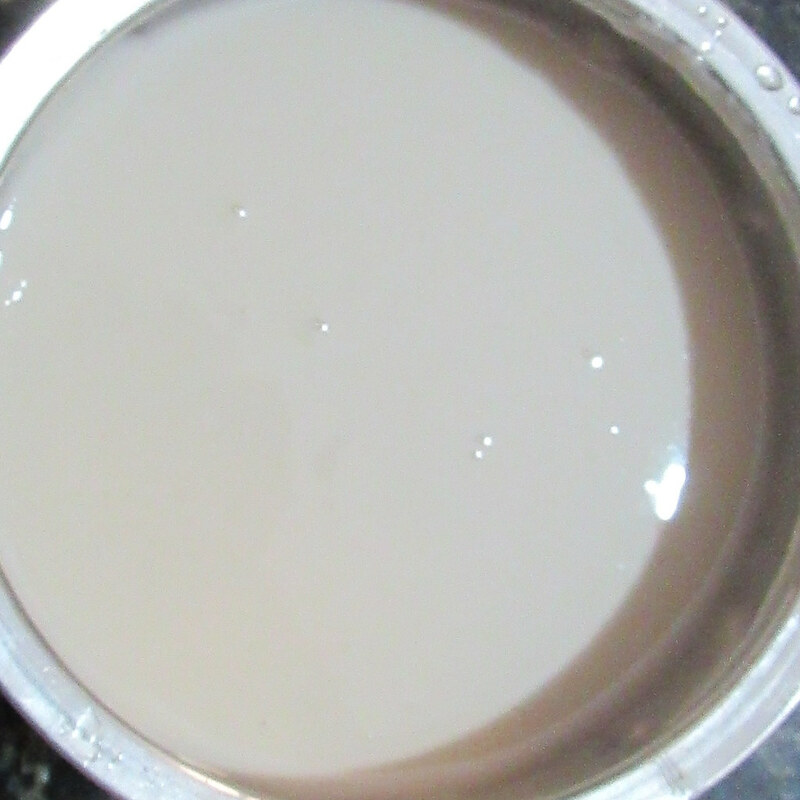 Add a little amount of water and make it into a smooth paste. Apply the mixture on the chicken pieces and refrigate for 3-4 hours. 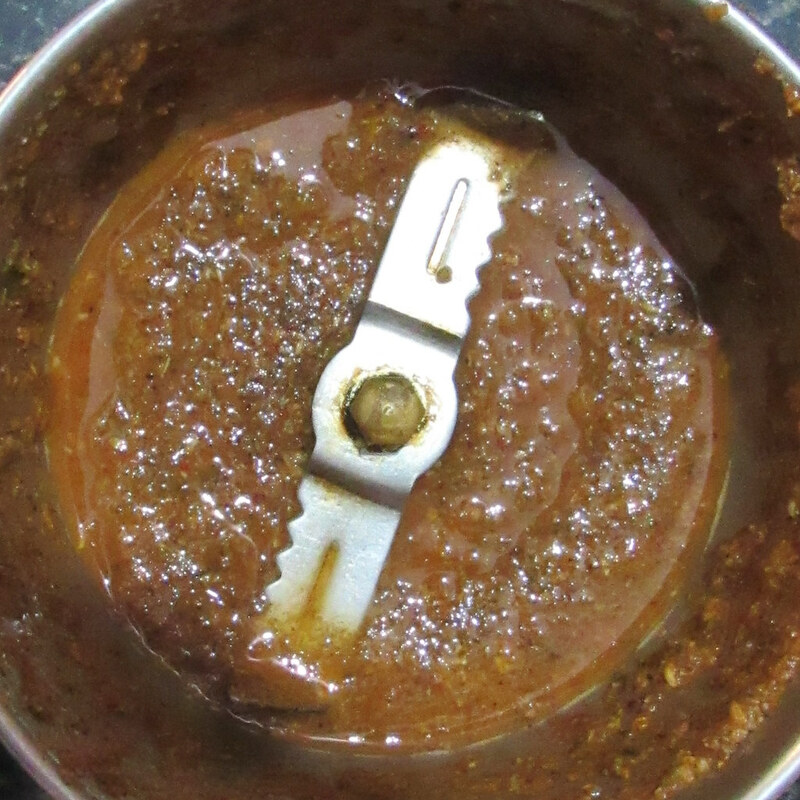 Overnight marination is good. 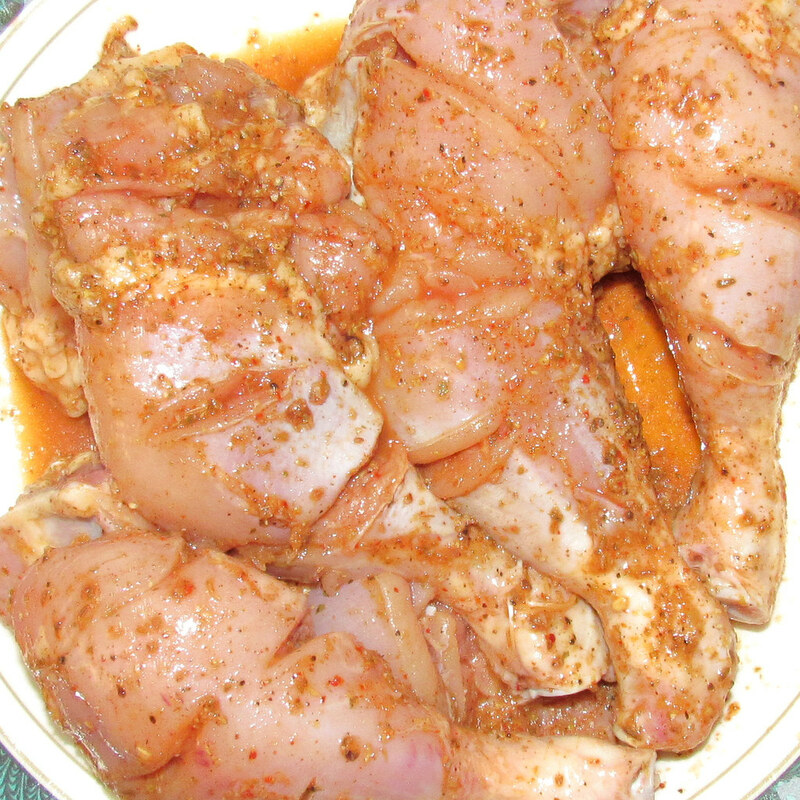 After marination, place the marinated chicken legs on the preheated grill. 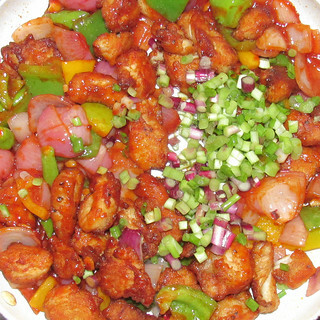 Cook the chicken for about 30-40 minutes. 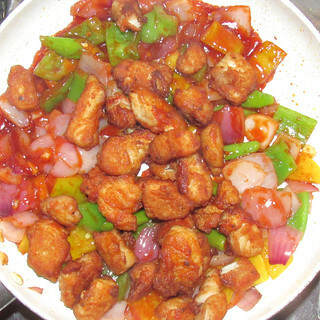 turn the chicken pieces at each interval for even cooking. 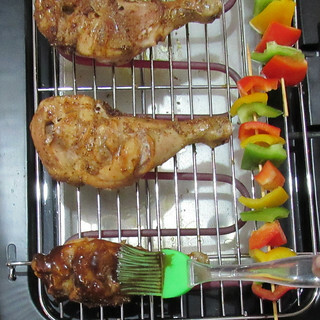 Once the chicken is done, brush the barbecue sauce on both sides and cook for 5-10 minutes. 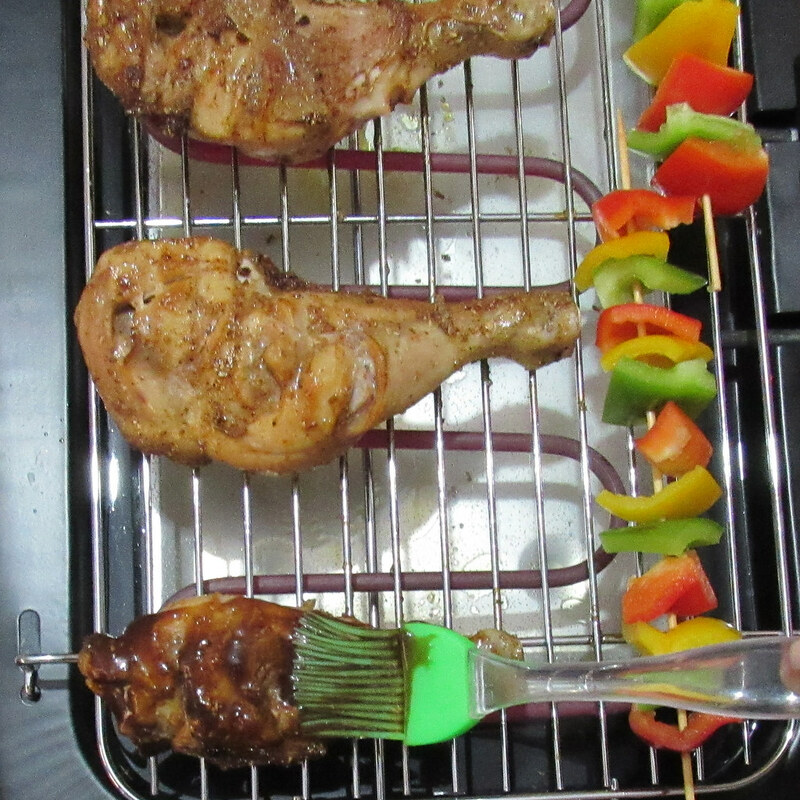 Now the Braai Chicken is ready to serve with vegatables/ rice. 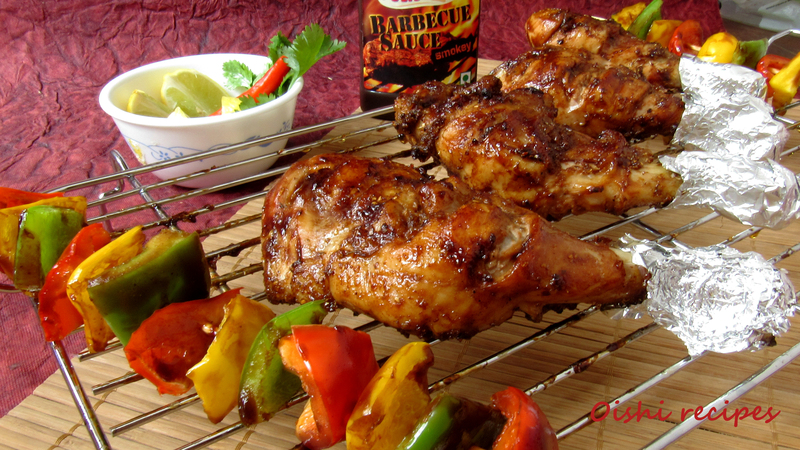 Braai spice preparation is easy and you can add an extra ingredient nutmeg for meat barbecuing. 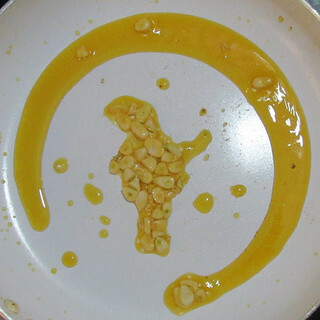 And mustard seeds for the pork preparation. 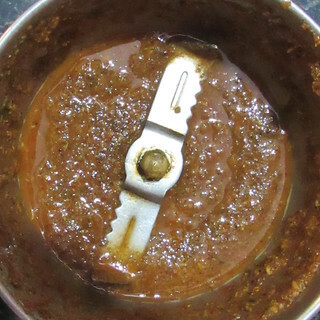 Marinate for atleast 3-4 hours. 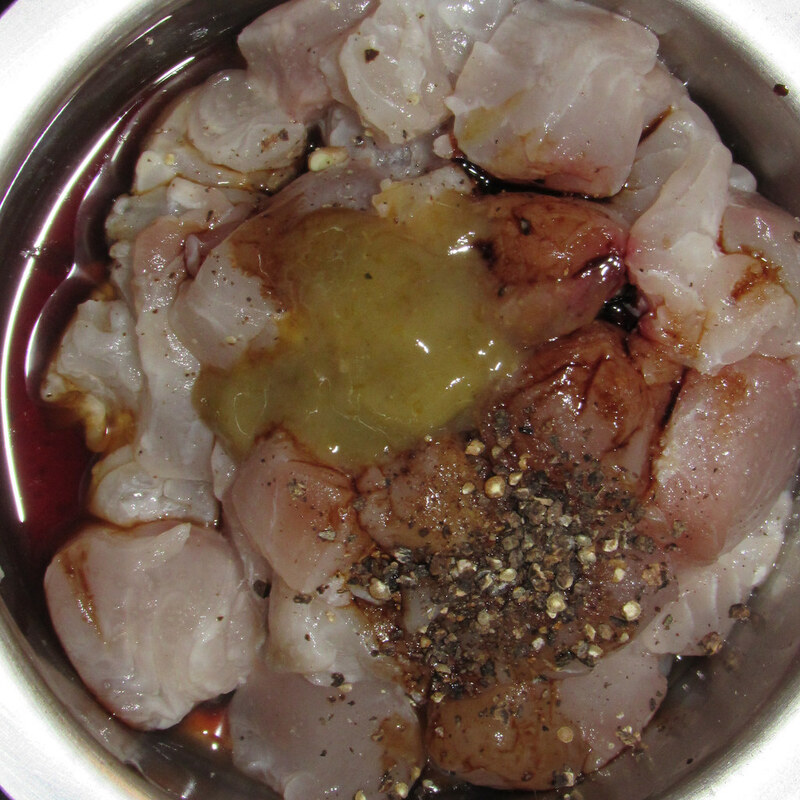 Overnight marination is advisable. 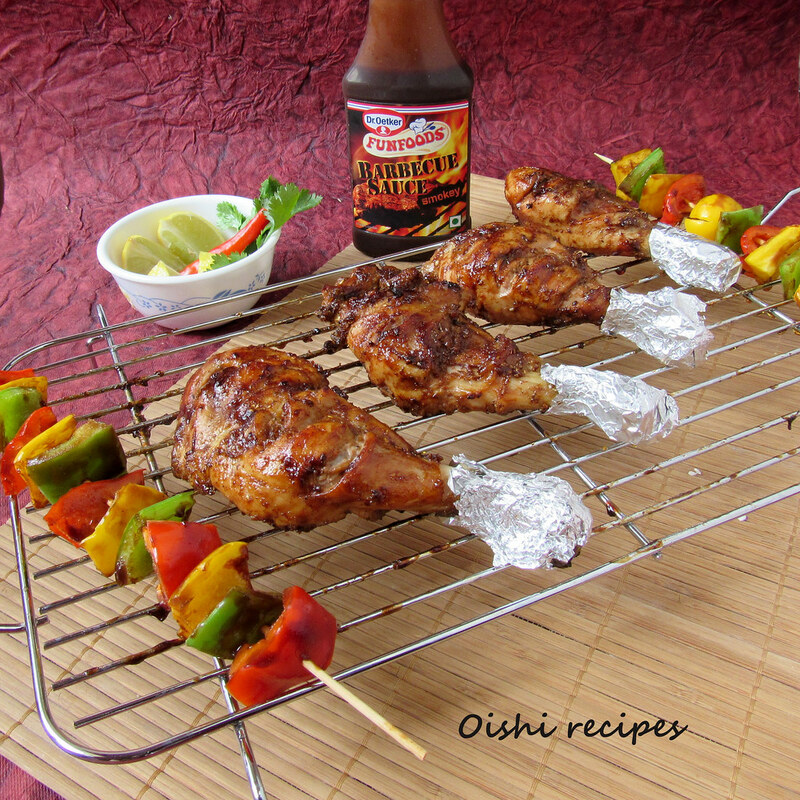 Apply barbecue sauce only after the chicken cooked. 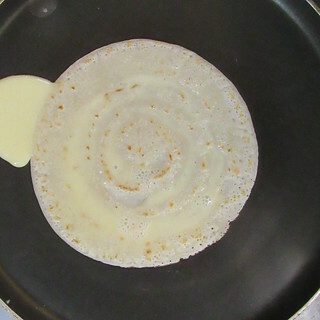 Otherwise the outside layer may turn brown and inside will not be properly cooked. 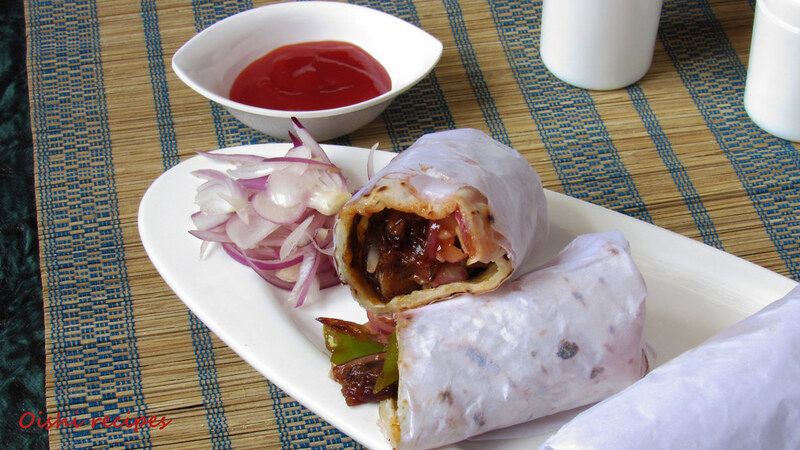 Chicken roll(Indian street food Chicken wrap) is one of famous street food originated from Kolkata. 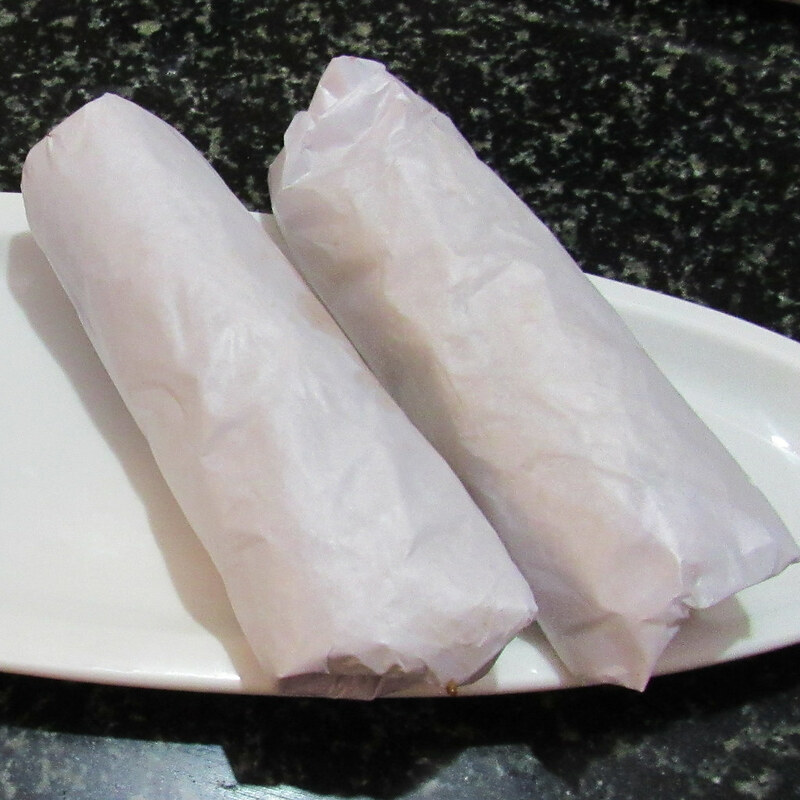 My husband likes to eat chicken roll whenever we go for outing. Everytime when he ate this roll he used to tell me “why can’t you prepare this to me at home”. 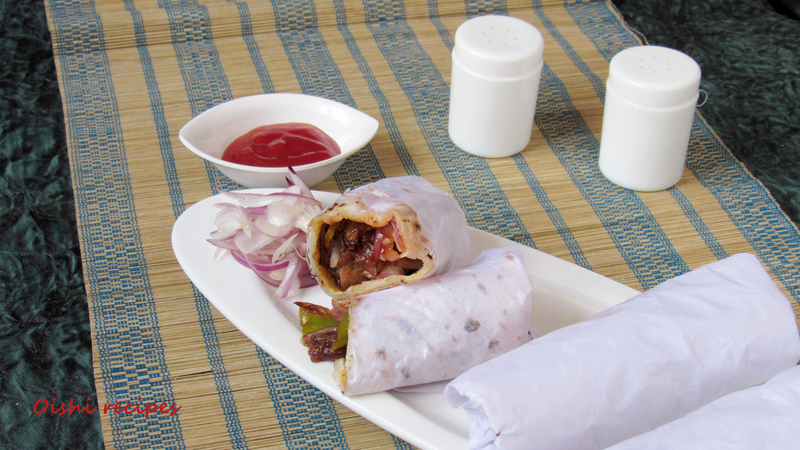 So finally I tested and tried many times to bring out a perfect recipe for Chicken wrap/roll. Here my filling is one which I have adapted from Chinese style chicken roll filling. Chicken mixed with sauces, onions and green chillies. For wrapper I have prepare a smooth batter and make it like thin, soft dosas. 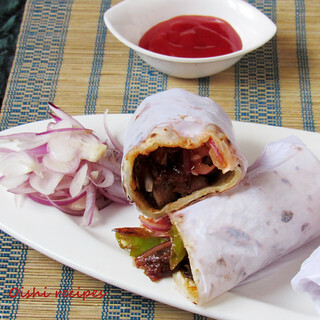 I have seen people preparing Kathi Chicken rolls in streets. I have adapted some techniques from them also. 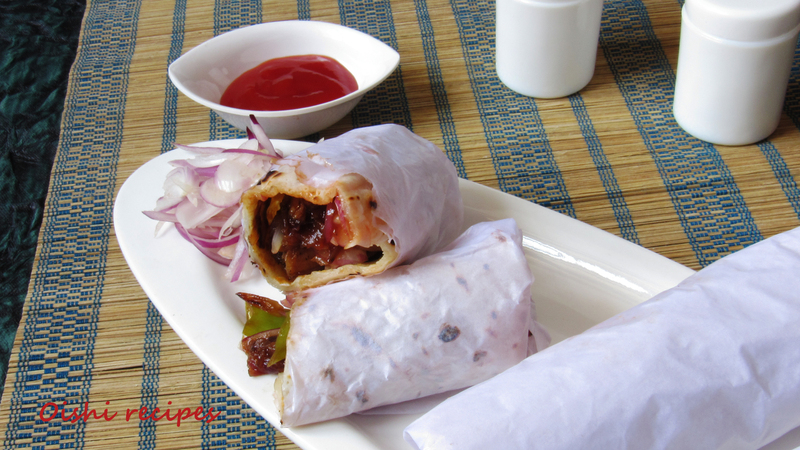 Chicken roll(Indian street food Chicken wrap) is very crunchy and juicy snack served with a cup of coffee or tea. Cook the chicken pieces with garam masala, salt and a little amount of water. Heat some oil in a pan. 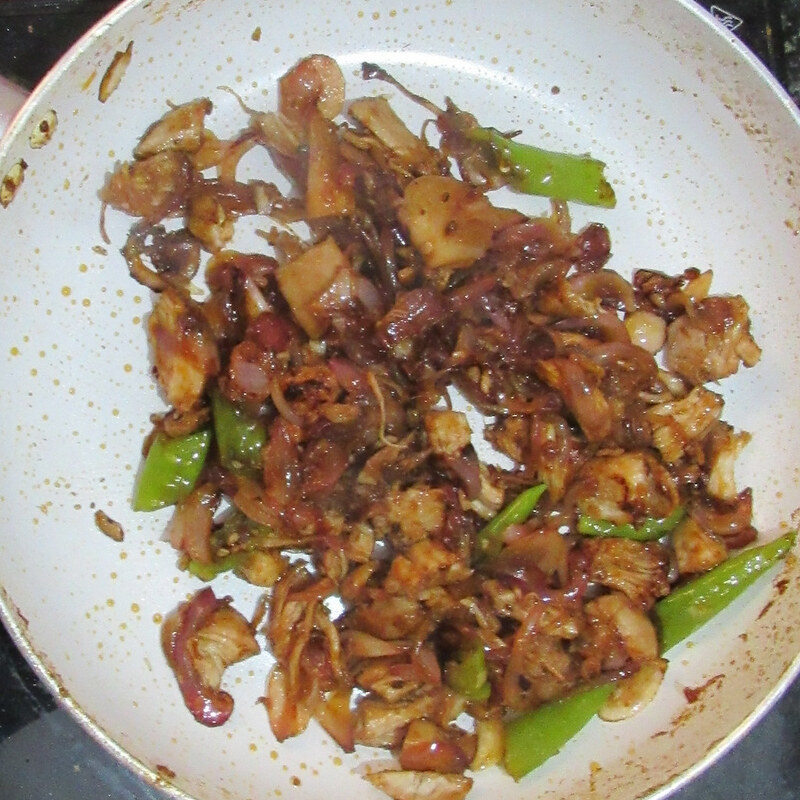 Add ginger garlic paste and fry till golden brown. 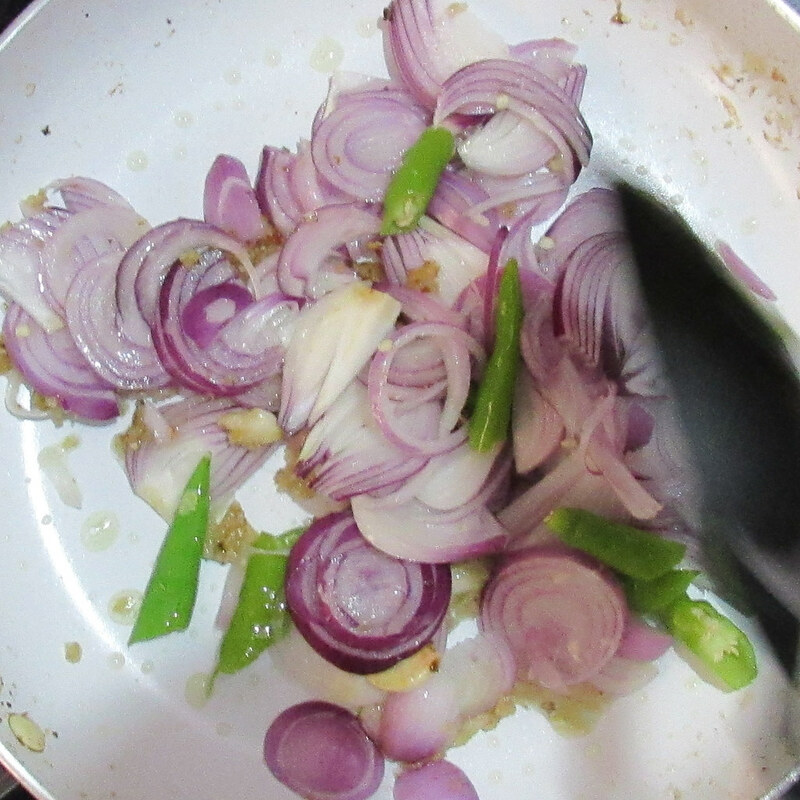 Add onion, green chillies and saute well. 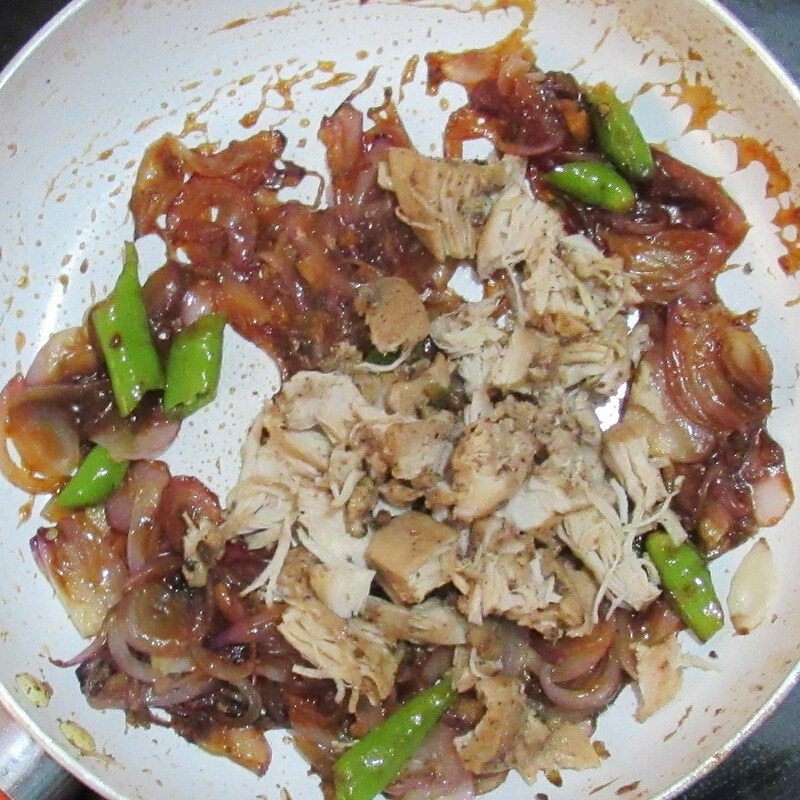 Add the three sauces and allow it to bubble. Add sugar to balance the taste. Add cooked chicken and mix well in a high flame for about 2-3 minutes. Add salt if needed. Now the filing is ready. In a bowl take all the ingredients under the heading ' For wrapper '. 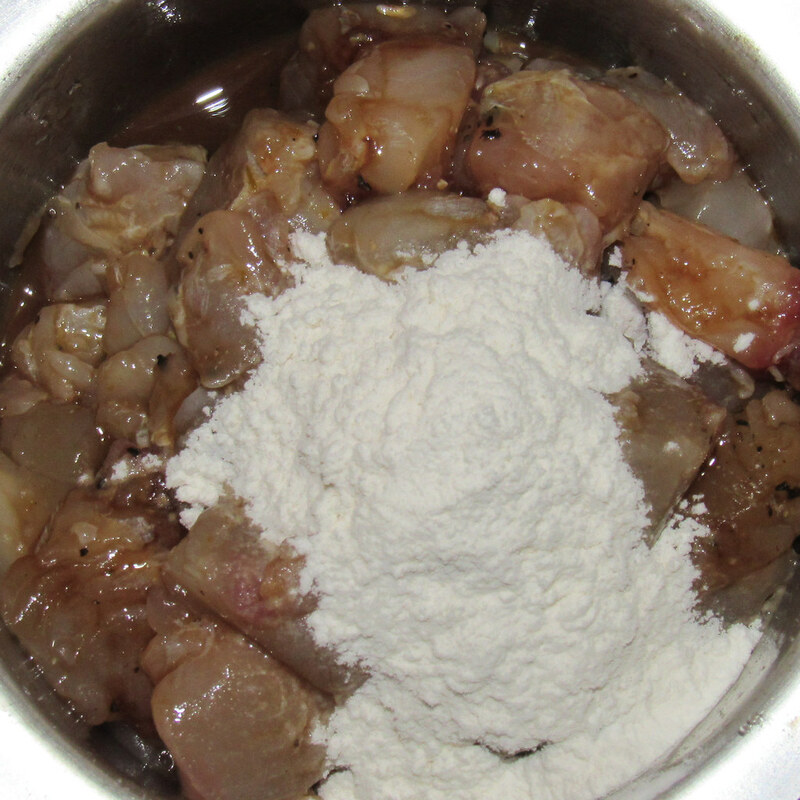 Mix well without any lumps. Consistency should be not too thin or thick. 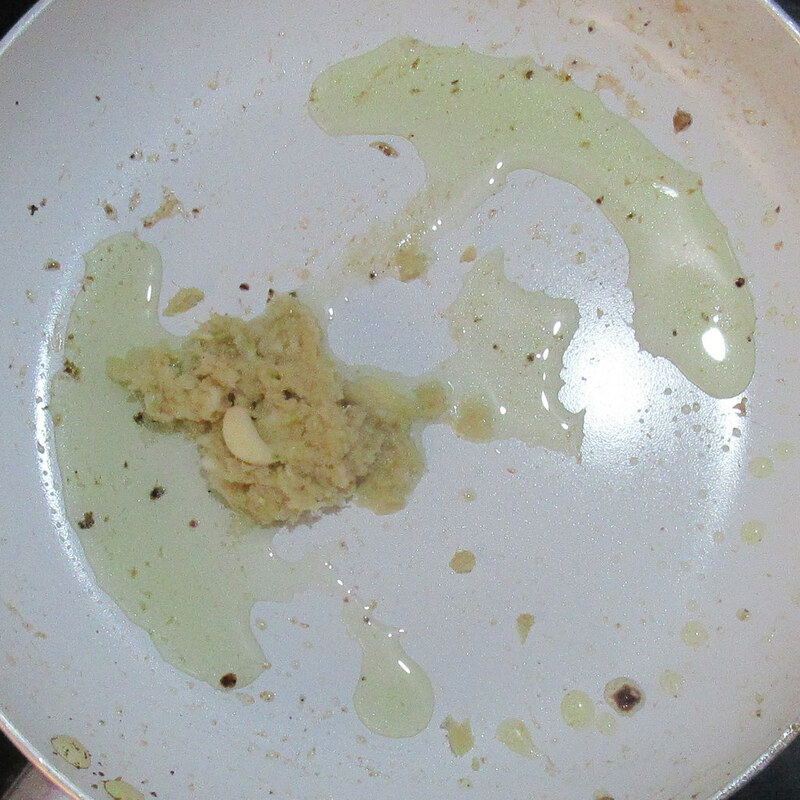 Heat a non-stick pan, pour a spoonful of batter and spread it in a circular motion. 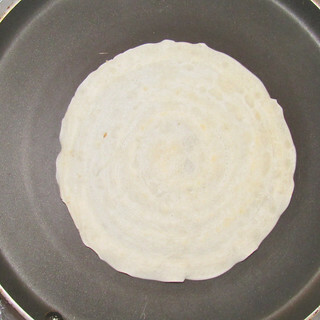 Make thin wrappers. When one side is done, spread the beaten egg on top it. When done flip it. Place the wrapper on the butter paper as shown in the figure with egg coated side on top. 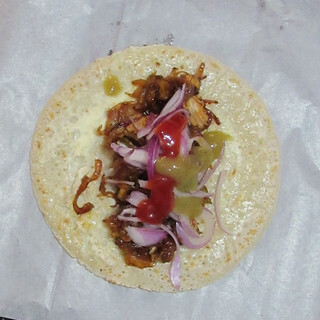 Place the filling on top of the wrapper. 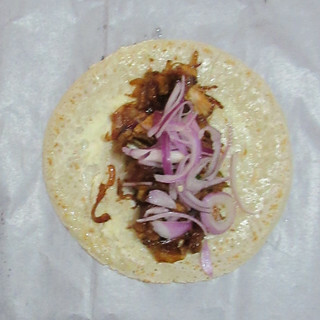 Place the thinly sliced onion on top of the filling. Pour tomato ketchup and green chilli sauce on top of the sliced onion. 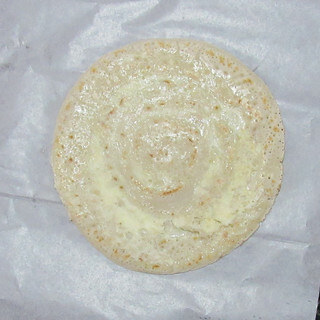 Then fold the wrapper tightly with the butter paper and seal the sides. 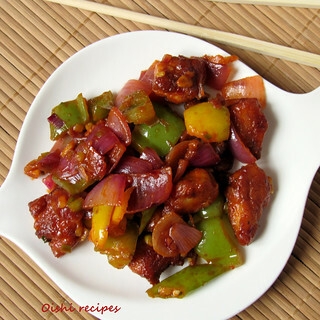 Cut cross sectionally into two pieces and serve hot. Wrappers must be thin otherwise it becomes rubbery to eat. Adding sugar to the filling will balance the taste of all sauces and gives an excellent taste. 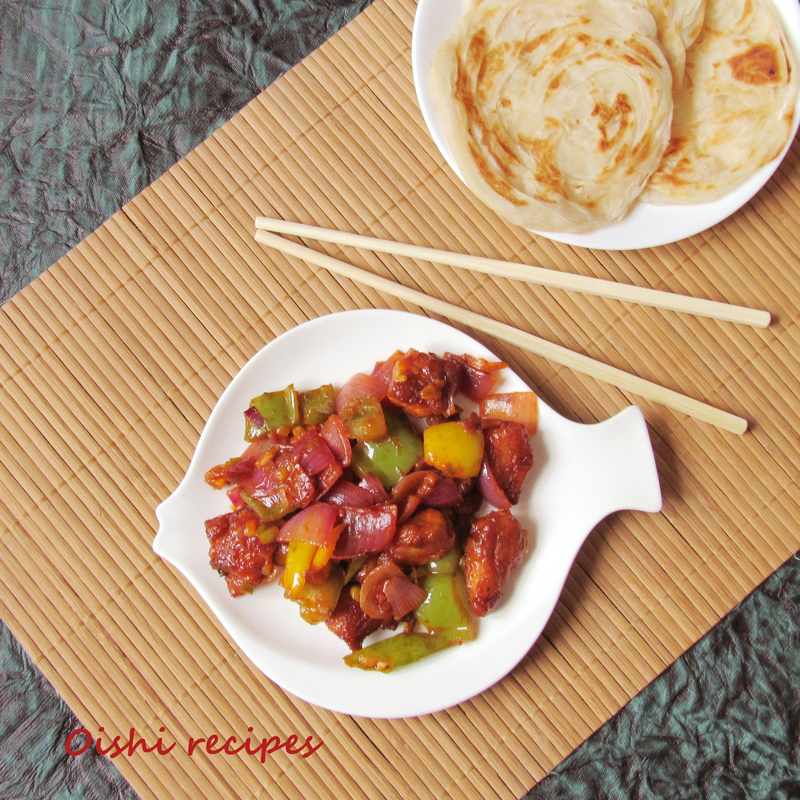 Hi friends, today I am showing you how to make an excellent side dish for fried rice/chappatis/parotta at your home with simple steps but no compromise for taste as you get in your favourite restaurants. Yes, it is Chilly fish recipe that I am sharing with you without adding Ajinomoto or any other taste maker. It is a hot , sweet and sour appetizer which can be served with fried rice or noodles. Here I have used Neymeen fish for preparing the dish. You can use salmon for preparing the dish. Hope you will make at your home. Please do comment on this recipe. 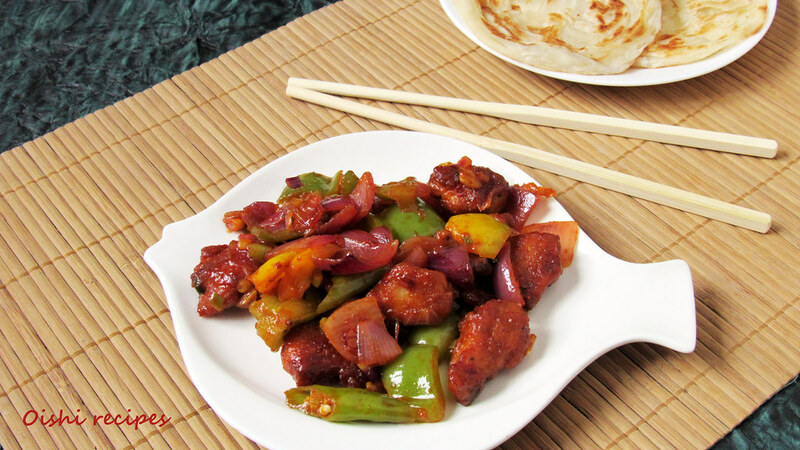 Chilly fish is a very hot, sweet and sour appetizer served with fried rice or chappatis. Take all the ingredients under the heading 'Marination'. Marinate upto 45 minutes. 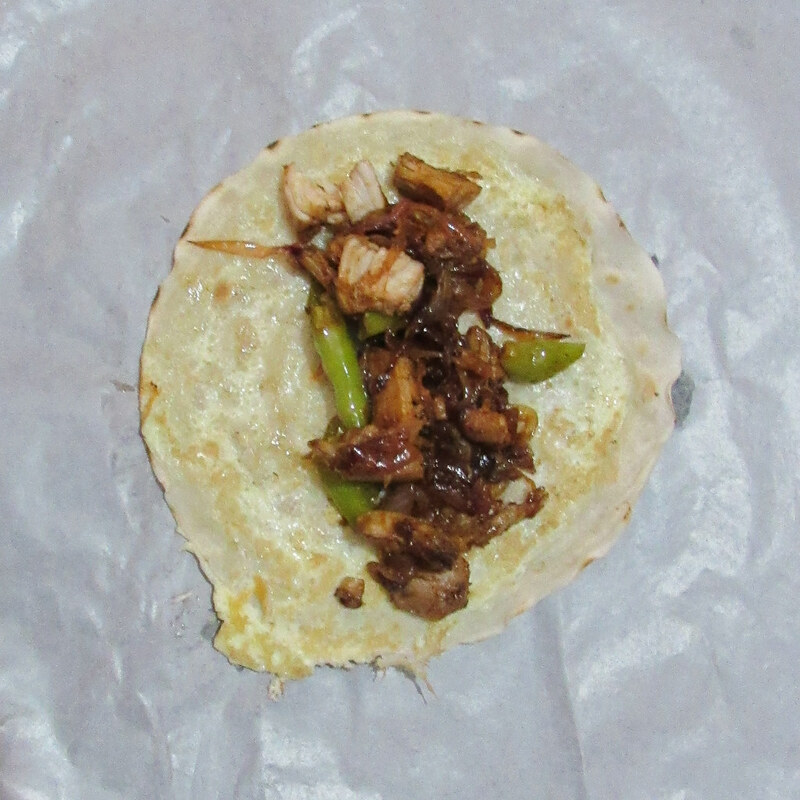 After marination , add corn flour and maida to it. Mix well. Then add chilli powder/paprika to the marination. 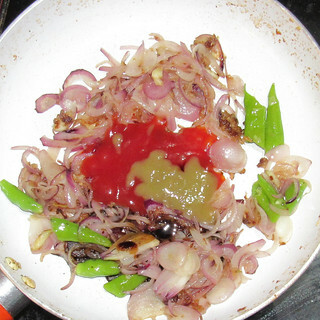 Heat olive oil in a frying pan, fry the fish pieces until it turns light brown. 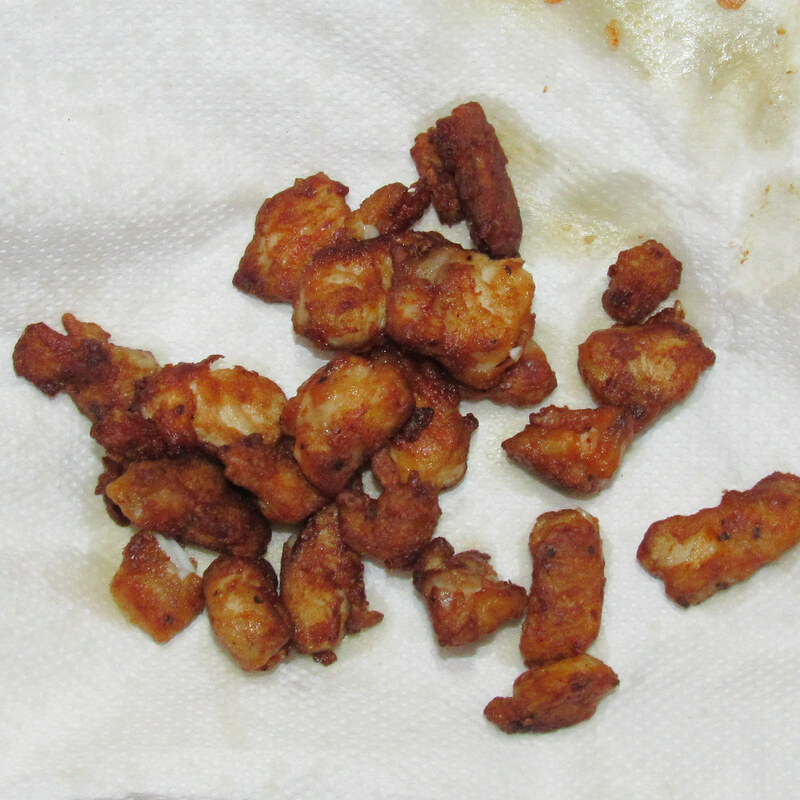 Fried fish pieces are done. To the same oil, add garlic and saute well. 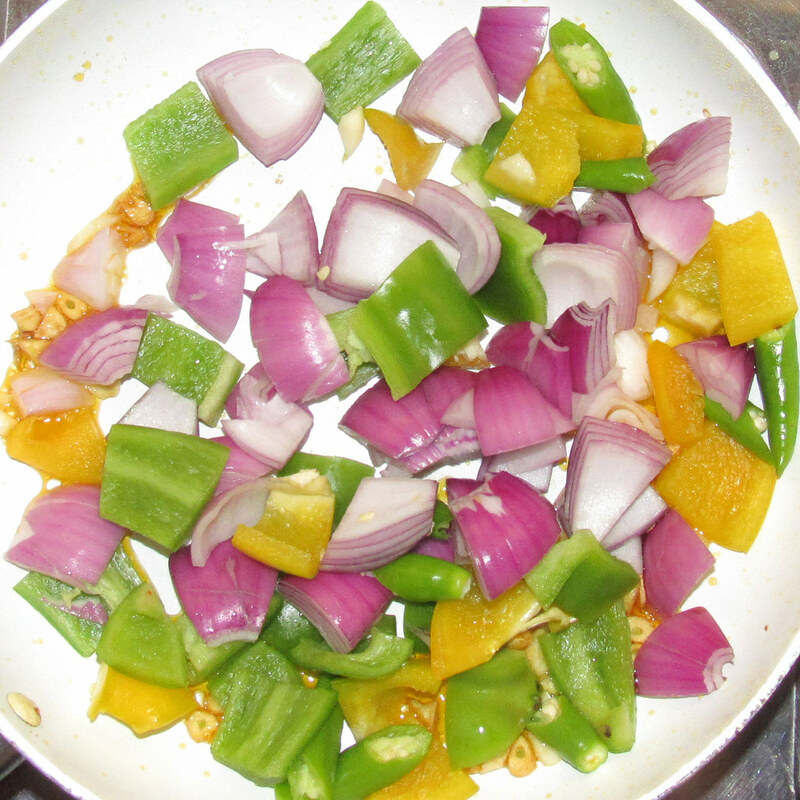 Then add the onion, capsicum and green chillies. 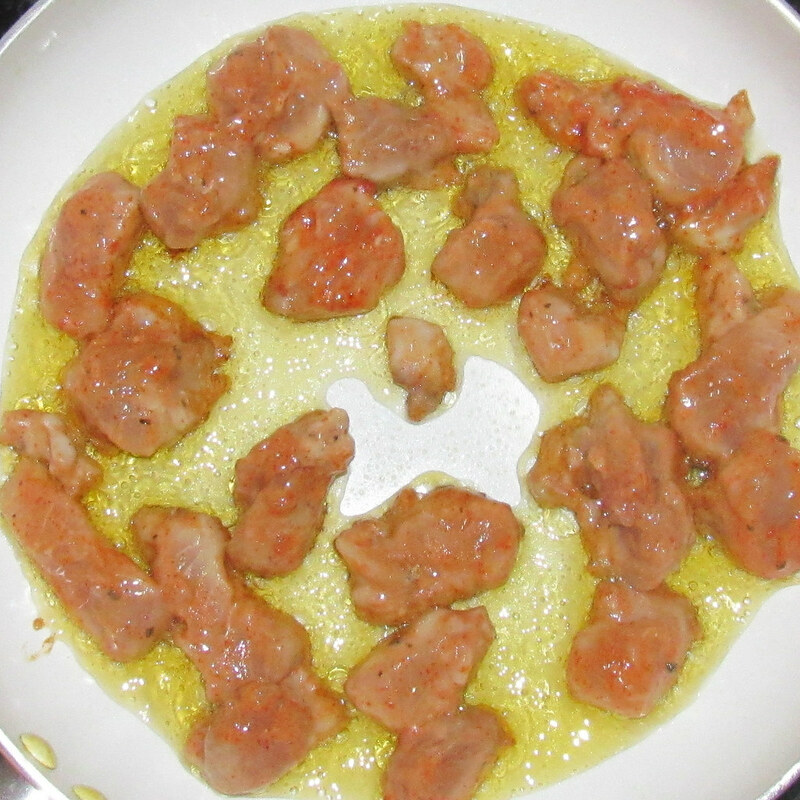 Saute well. Next step is sauce preparation. 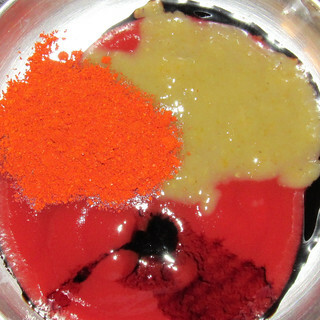 Take all ingredients under the label 'Sauce mixture' in a bowl and mix it well. 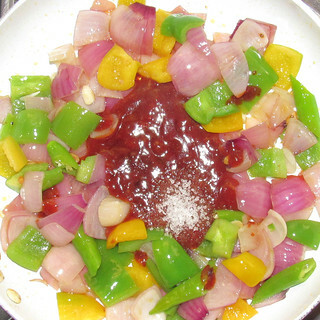 Add this sauce mixture and sugar to the pan and allow it to bubble. 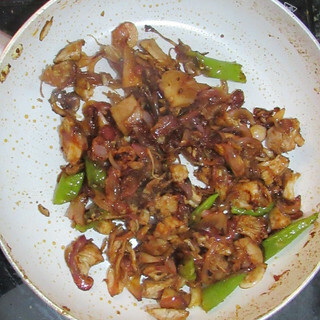 Add the fried fish and stir fry for 2-3 minutes in high flame. Add spring onion and saute for a minute. 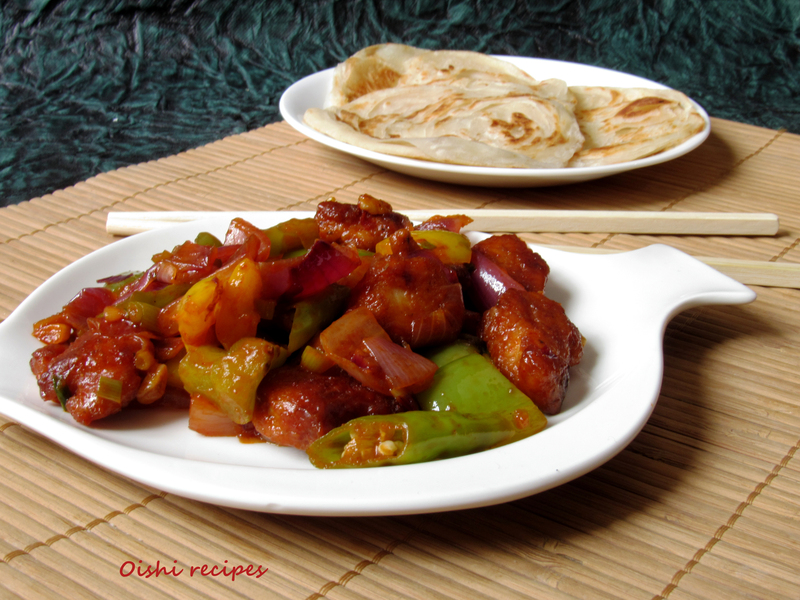 Ready to serve with chappatis/parotta. While sautéing onions and capsicum, a bit of crunchiness should be maintained. 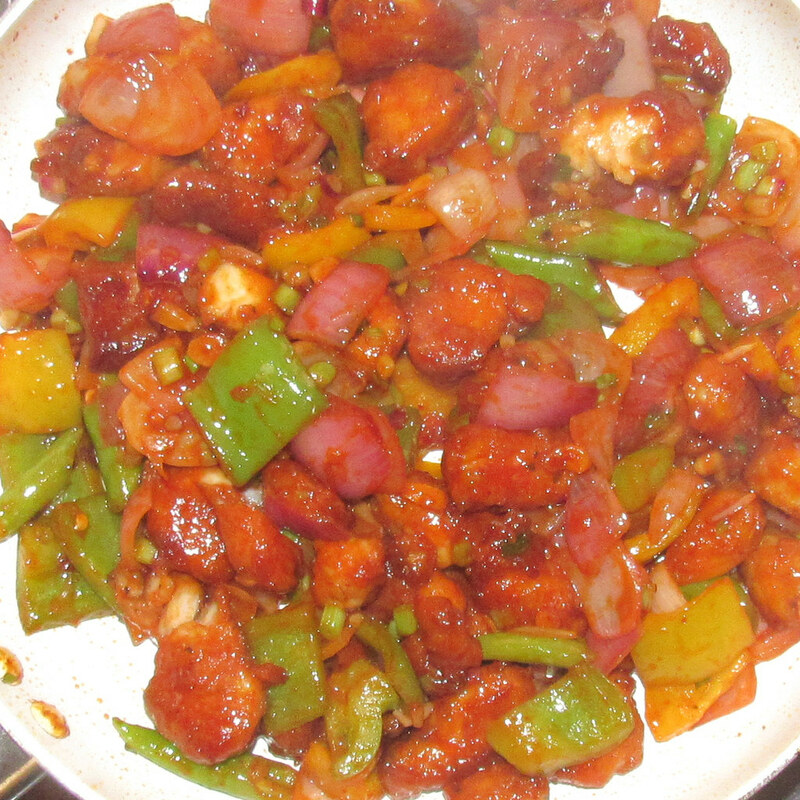 Adding red chilli powder/paprika is optional. But this help to give a good color.